IS THE OWNER OF THE FORUM AFTER TAKING OVER FROM HER MOTHER WHO OWNED THE BUSINESS FOR MANY YEARS. MICHELLE BEGAN HER CAREER WORKING FOR HER MOTHER WHEN SHE WAS 13 YEARS OF AGE ON A WEEKEND AND REALISED THAT THIS WAS WHAT SHE WANTED AS HER CAREER. 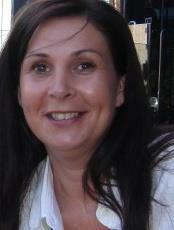 AFTER LEAVING SCHOOL SHE WORKED AT TELFORD HAIR DESIGN IN MORPETH FOR 6 YEARS BEFORE JOINING HER MOTHER AT THE FORUM. SHE THEN MOVED TO EDINBURGH AND WORKED FOR REGIS AT JENNERS FOR A FURTHER 6 YEARS THEN RETURNED BACK TO THE NORTH EAST TO JOIN THE FORUM. SHE HAS BEEN WITH THE FORUM SINCE AND IS OVER THE MOON TO NOW BE THE NEW OWNER OF THE SALON. IS THE SALONS MANAGERESS AND HAS BEEN WITH THE TEAM FROM LEAVING SCHOOL. SHE HAS BEEN HERE FOR THE LAST 20 YEARS AND IS OUR MANAGERESS. SHE DOES ALL ASPECTS OF HAIRDRESSING AND IS VERY SKILLED IN HAIR UP. SHE LOVES NOTHING BETTER THAN TO TRANSFORM HER CLIENT FOR THEIR SPECIAL OCCASION. SHE IS VERY MUCH A NATURAL AT THIS. SHE IS ALSO UP FOR ANY CHALLENGE IN COLOURING. SHE WORKS A TUESDAY, WEDNESDAY, FRIDAY AND SATURDAY. BETH IS OUR NEW GIRL, WHO HAS RECENTLY JOINED OUR TEAM. 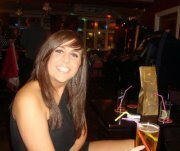 sHE COVERS MOST ASPECTS OF HAIRDRESSING AND IS A LOVELY, BUBBLY MEMBER OF STAFF. SHE WORKS A THURSDAY, FRIDAY AND SATURDAY. IS OUR APPRENTICE AND IS NOW WITH US FULL TIME. SHE IS VERY FRIENDLY YOUNG GIRL WHO HAS TAKEN SO WELL TO HAIRDRESSING AND WORKS REALLY HARD BOTH AT WORK AND AT COLLEGE.